The K&M 221D Microphone Mounting Flange installs into desktop surfaces and features a 5/8" hexagonal screw for vertical connection of goosenecks, microphone mounts, etc. A 4mm cable entry hole hides the cable run and enables easy installation. 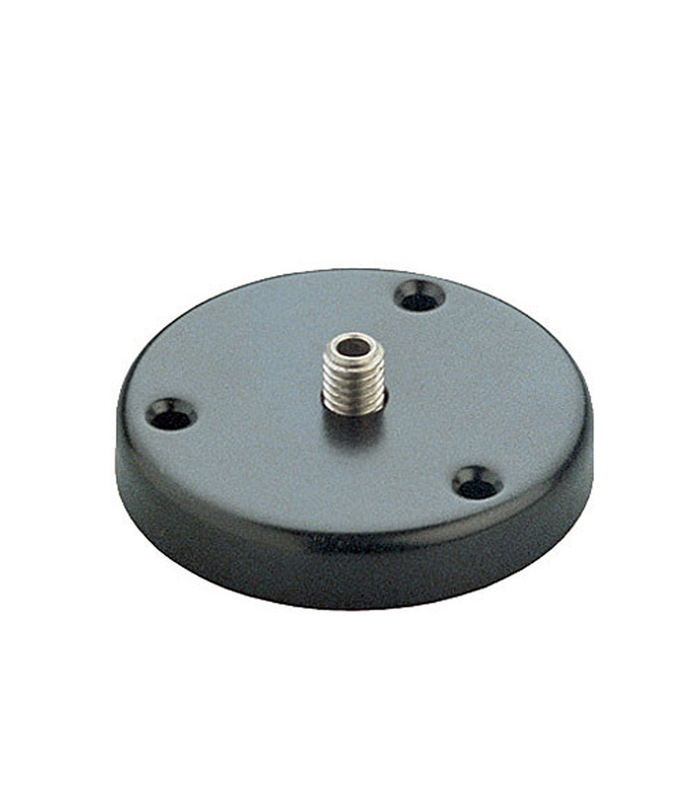 22140 500 55 Microphone Mounting Flange from K&M is 100% original and is available at NMK Electronics. Speak to our expert for booking a live demonstration. After sales customer service is an integral part of our business ethic and is taken very seriously.